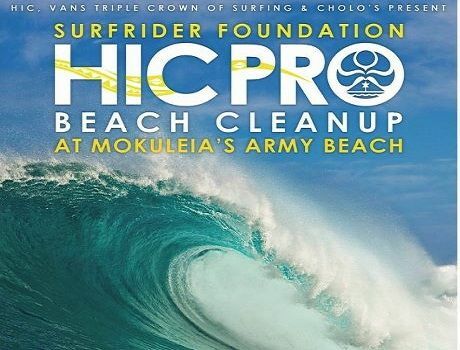 HIC powers Surfrider Army Beach clean up, Cholos feeds us! 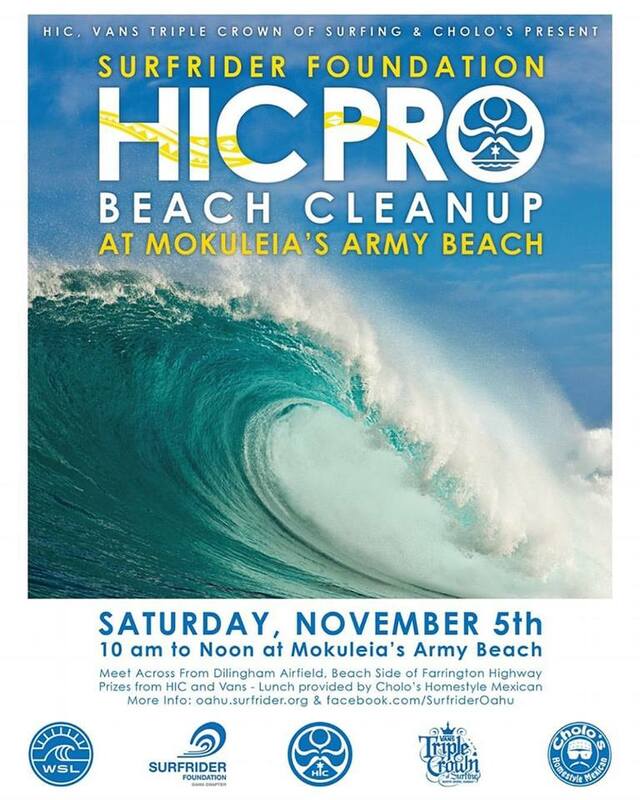 On Saturday November 5th join Surfrider Foundation – Oahu Chapter and HIC – Hawaiian Island Creations for our annual cleanup on North Shore. For the third year in a row we will be cleaning Mokulē‘ia’s Army Beach (across from the Kaena Point side of the airfield). Each year we haul lots of debris from this area that inlcludes countless plastic items and things that people have unfortuneatly dumped. Additionally this has been a hot spot for people having pallet fires that leave behind lots of nails. We’ll sift through the sand, but if you have sand magnets, please bring them with as well. Check-in as usual at 9:45 AM, with lunch after we clean, generously provided by Cholo’s Homestyle Mexican Restaurant!!! The partnerships with these groups as well as Vans Triple Crown of Surfing World Surf League are truly awesome. There will be cool prizes and special opportunites for volunteers to get great discounts with HIC – Hawaiian Island Creations.